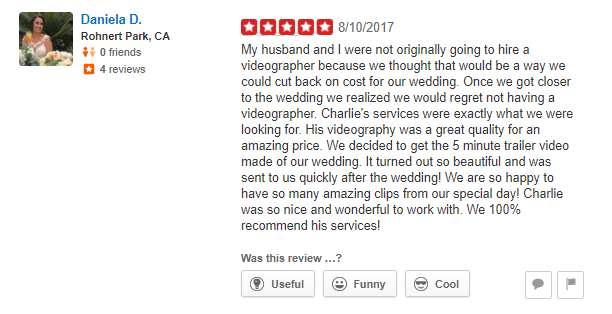 ​﻿﻿Are you in the process of planning your wedding but not sure if you can afford a videographer? Our video and photo packages start at only $600! If you think it's too good to be true, check out what's included and view our video samples. It's a great value for the price and hundreds of couples enjoy our services every year! According to current studies, not hiring a wedding videographer is the biggest regret of most couples. Watching your wedding video is the only way to hear your vows, see your tears and experience the excitement of re-living your wedding day again. As time goes by and everyone gets older, being able to come back to that moment becomes even more touching, meaningful and enjoyable. Please use the form below to check if we're open on your date. - Simple and easy online booking/planning system. No phone calls required to complete the booking. - Unlike most other wedding vendors/suppliers, we always respond to emails within 24 hours or less and provide detailed answers to all of your questions. 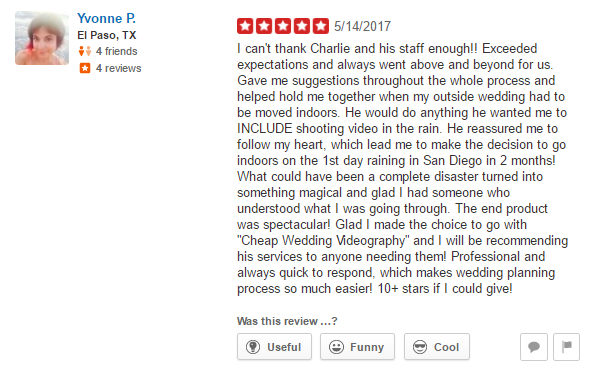 - We have excellent online reputation on WeddingWire, Google and Yelp. 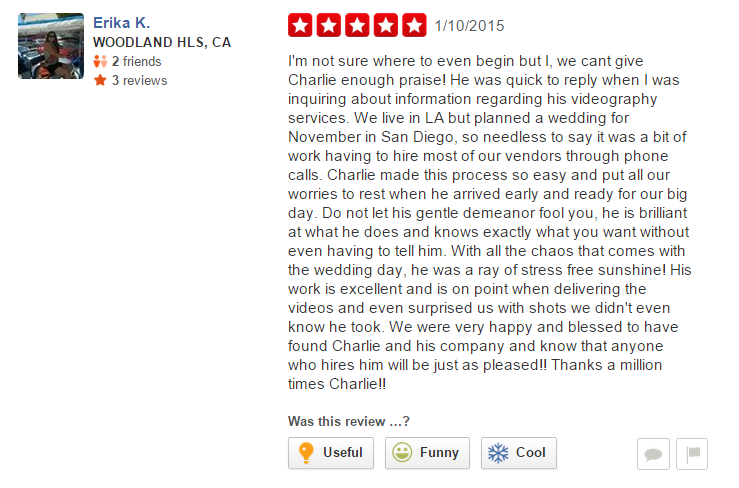 Please see our client reviews below. - Every one of our staff members is trained personally by the owner of the company who carefully picks only the best people. ﻿- While most wedding videographers take several months to deliver the edited video, we guarantee to send it to you within 4 weeks of your wedding day. Most of the the time you'll get it even sooner! - Experience of hundreds of weddings. 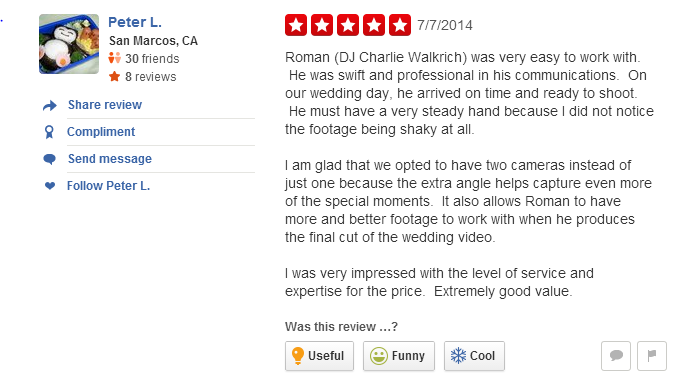 We have worked at almost all wedding venues in Southern California. - Every client is approached with integrity and professionalism. 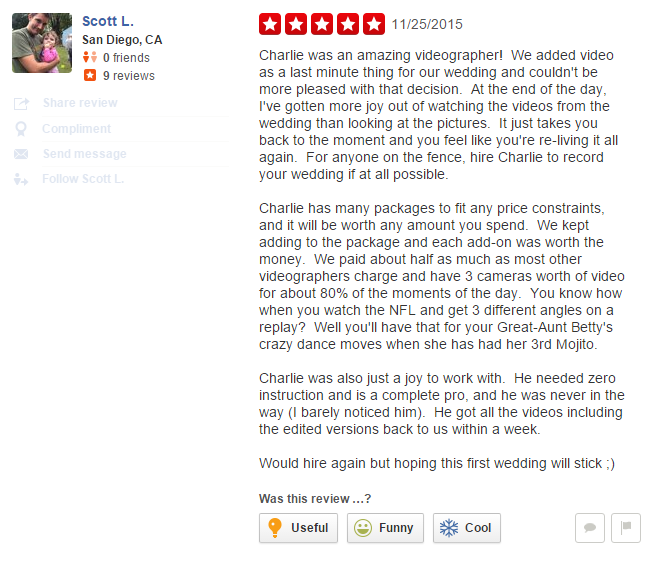 - Our wedding videography and photography packages are very transparent and every client pays the same price. 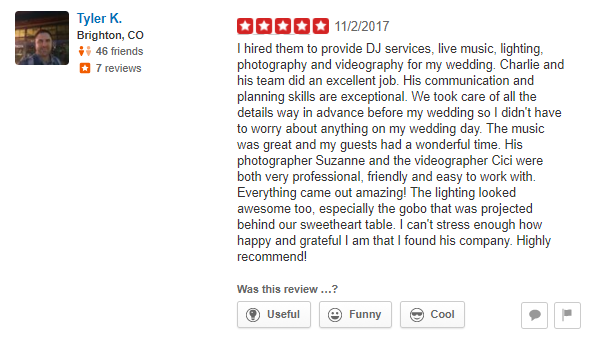 - While many other wedding videographers and photographers wear casual outfits, our videographers always look clean and wear professional dress attire. 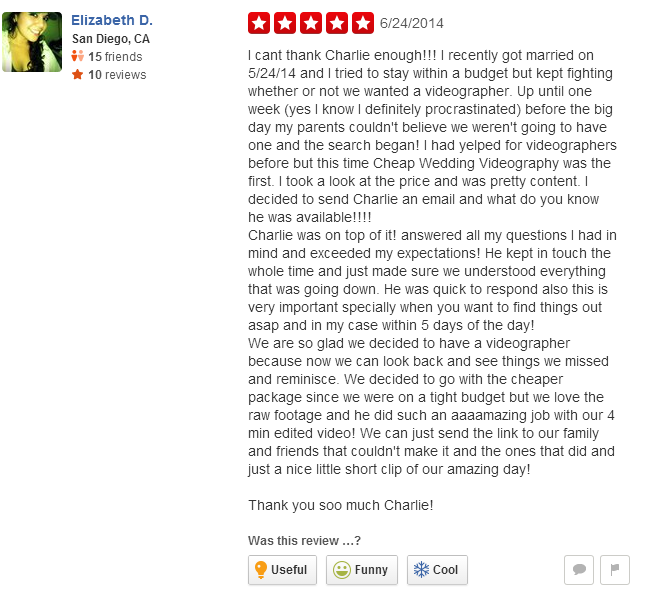 - Watching our wedding videos will take you back to the moment and you will feel like you are re-living it all again. world's largest and most trusted review website.